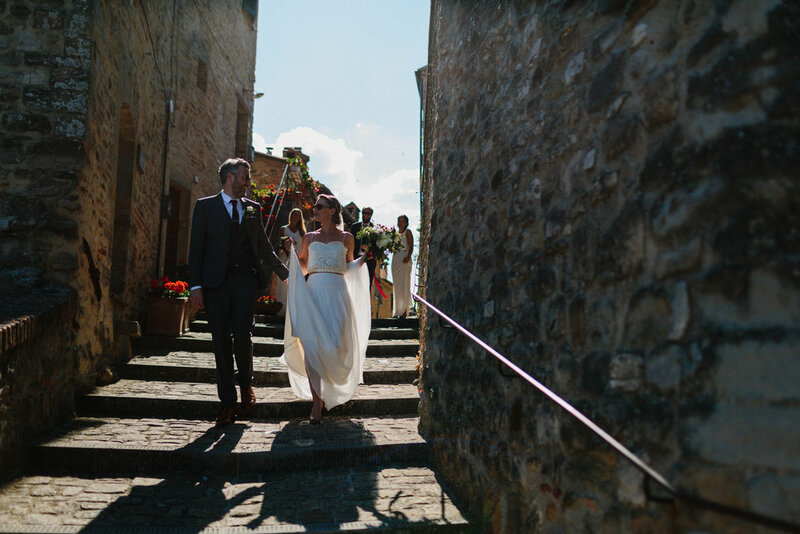 Lovely bride Christina's relaxed, Italian wedding took place in June last year and the hot Italian summer was a factor when choosing her wedding dress. 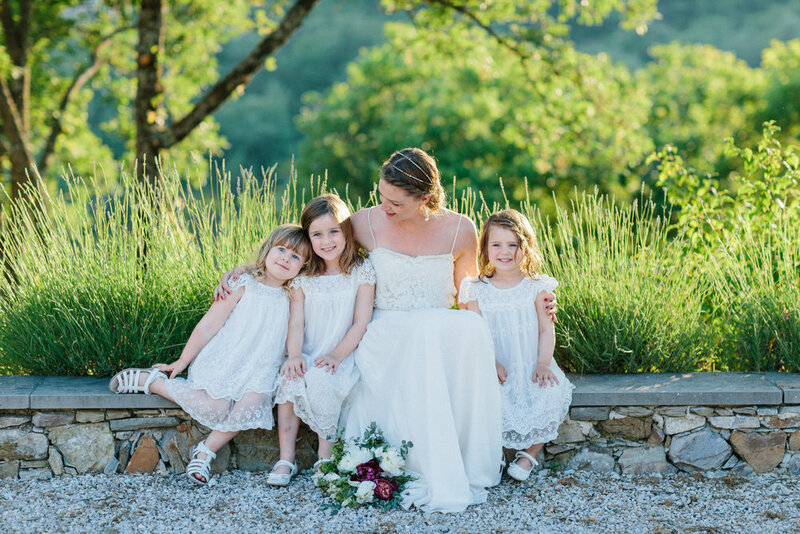 "The two piece felt beautiful but not as formal as many wedding dresses. I immediately felt at ease when I tried the dress on and knew I would feel special but comfortable on the day." Christina completed the look with a delicate Agnes Hart headpiece & veil and her "something borrowed" was jewellery from family and friends. Floristry was focussed around her favourite deep red peonies and we think she looks fabulous! Congratulations Christina! We wish you and your new husband all the happiness in the world!